Get the resource that every 21st-century musician needs to thrive, not just survive, in today’s modern musical landscape. As traditional music career paths become increasingly scarce, 21st-century musicians must reach out to new and diverse audiences to ensure career success and sustainability. Music entrepreneurship courses equip students with the skills and mindsets to build relationships with their communities, jumpstart and fund new initiatives, engage new audiences, and ultimately create successful and meaningful careers. 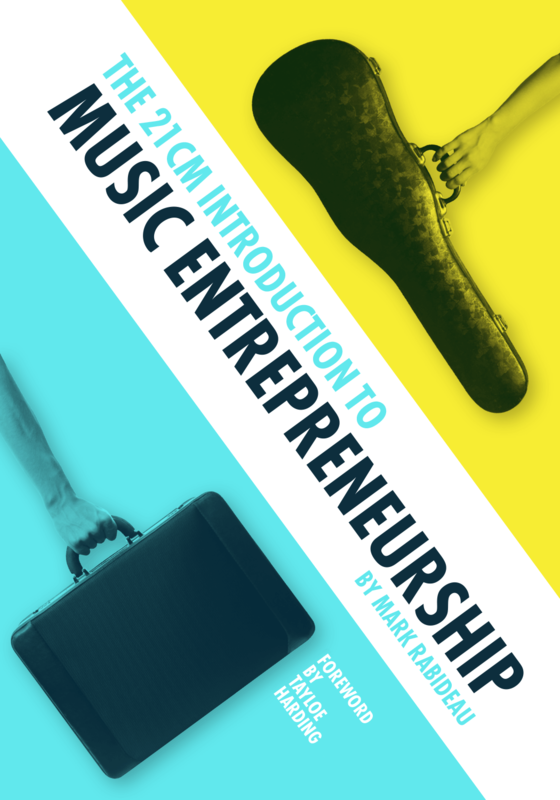 The 21CM Introduction to Music Entrepreneurship introduces students to how the working musician’s world works and provides them with the tools necessary to invent and execute successful community-based projects. This revolutionary online text by Mark Rabideau embraces the civic-mindedness of service learning, the high intellectual and performance standards of the academic community, and the creative energy of the entrepreneurial artist. *Student purchase includes seven months of access to the text. The instructor’s version of the text is available for 12-month exam copy access. Internet access is required to use this text. This truly interdisciplinary approach to student career preparation draws from arts administration, business and nonprofit studies, rhetorical theory, social sciences, organizational theory, design strategy, and more. It challenges students to be outcome focused, building on theory and policy in order to take creative action with lasting impact as it welcomes students and instructors into the growing 21CM community of revolutionary artists. Fill out the fields below and we’ll get in touch with you soon about access to the instructor’s version of The 21CM Introduction to Music Entrepreneurship. To order your seven-month subscription to the text, please call 1-800-462-6420 x 3024. To order your seven-month subscription to the text, please call 1-717-794-3800 x 3024. Reference code 21CMINTL to receive $5 off purchase price to offset toll for phone call. All orders must be prepaid in U.S. dollars.